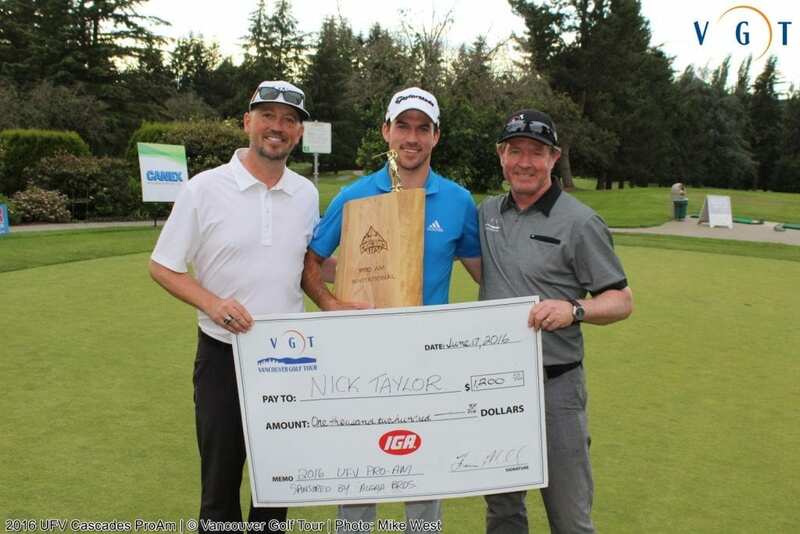 PGA Tour pro Nick Taylor got off to a red-hot start on his home course and cruised from there, earning a three-stroke victory on Friday at the Algra Brothers UFV Cascades Pro-Am presented by Cleveland/Srixon. 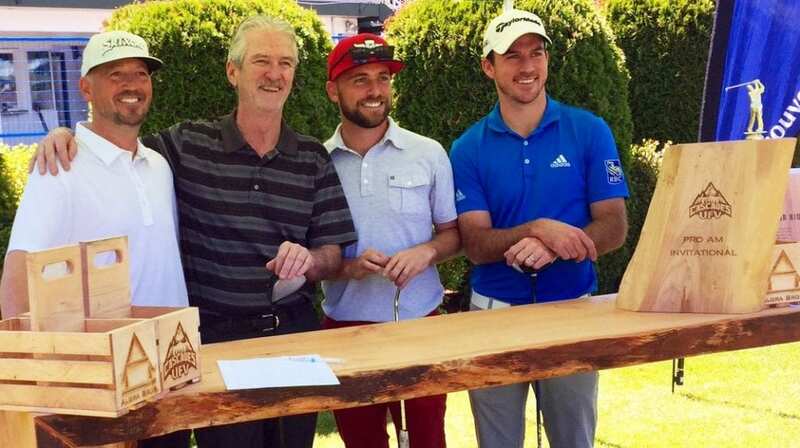 Taylor, a 28-year-old Abbotsford product in the midst of his second full season on the PGA Tour, tore through the front nine at Ledgeview Golf and Country Club in just 31 strokes, registering an eagle and four birdies against a single bogey. He played the rest of his round at even par en route to a five-under 65, three strokes ahead of runner-up Andrew Rasmussen of Vancouver (68) and four better than UFV Cascades alum Brett Stewart (69). Chad McAdie (70) was solo fourth, while Cascades assistant coach Brad Clapp, defending tournament champ Kevin Stinson and Chris Lee tied for fifth with matching rounds of 72. The tournament was a fundraiser for the UFV golf program, and doubled as an official Vancouver Golf Tour event. In the grand scheme of Taylor’s ascendant golf career, Friday’s victory is a minor blip on the radar. His resumé, after all, includes a PGA Tour win (the 2014 Sanderson Farms Championship), and he’s won over $1.5 million in the last season-and-a-half. His share of Friday’s $5,000 prize pool was $1,200. But his mere presence was tremendously significant to head coach Chris Bertram and the Cascades men’s and women’s golf teams, which rely on the funds raised at this annual event. “Obviously we were thrilled that Nick agreed to come out and support us today,” Bertram said. “We just can’t say enough about how good a person he is, and his interest in giving back to his community and growing the game of golf. We’re just so lucky to be beneficiaries of that. Taylor, for his part, called it “a no-brainer” to take part on Friday. Bertram’s plans to hold the tournament at Ledgeview were jeopardized when a fire destroyed most of the clubhouse in April. But he worked with Ledgeview staff to execute a new vision for the event. A tent in the parking lot housed the post-tourney festivities, and food trucks and craft beer vendors were on site to serve patrons.